This project was developed as a possible solution for a professional cake decorator who has carpal tunnel syndrome from using a standard icing bag. The idea behind this project is to straighten the wrists and reduce the amount of sustained force the hands have to exert upon the bag. What makes this project difficult is the extreme viscosity of the decorative cake icing, making it difficult to find a hand held apparatus to dispense it. 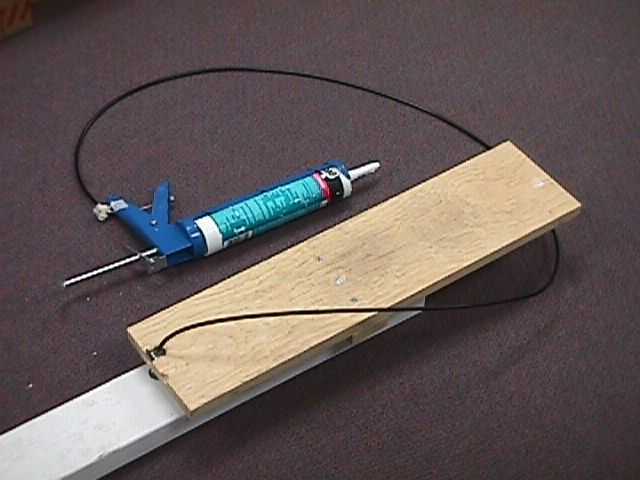 The prototype solution developed was a modified caulk gun and attaching a heavy duty foot peddle make out of 2x4s via a heavy duty bicycle brake cable. The tube was filled with icing was to be attached to a 1/4 or a 3/8 inner diameter clear plastic tube. 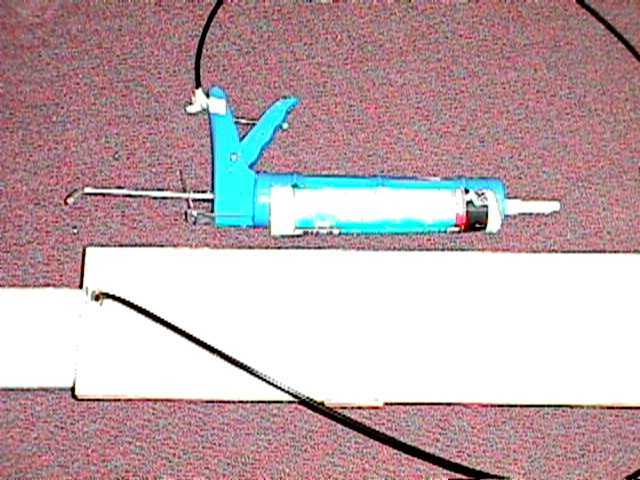 The tube we used for the prototype was an empty and clean silicon caulk tube. 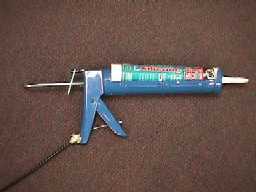 We used a caulk tube with an nozzle that screwed into the end of the tube, so it could easily be removed and cleaned. 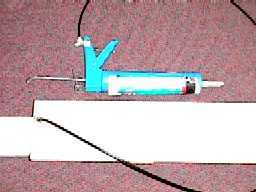 The idea was that the caulk gun could be hung above the cake, and the only thing the user would have to do was hold the end of the tube and press the foot peddle to control the flow of icing. We didn't want the user to have to hold the gun themselves because we thought that the weight of the combine gun and icing may strain the upper arms and shoulders of the user. 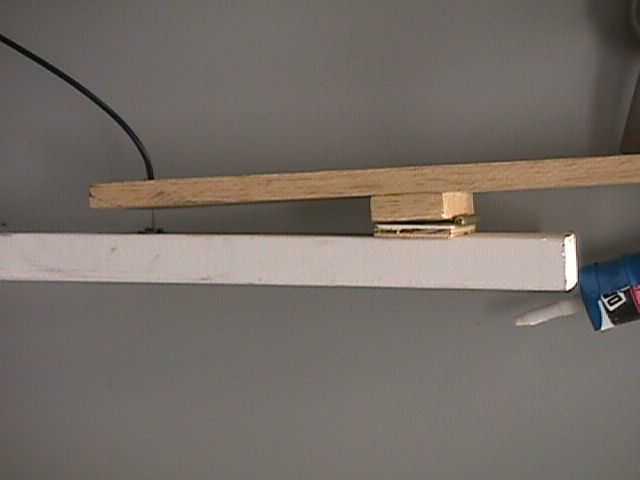 What we found after building the device was the peddle needed to be heavier, made of metal instead of wood, and affixed to a stationary object. The caulk gun we used was made of thin metal, and was bent and warped over time. With the pedal we had we were not able to effectively force the icing through even a short tube (12 inches being short). If this device would be developed further, the icing tube should be made of food service grade plastic that can be disassembled easily for cleaning. 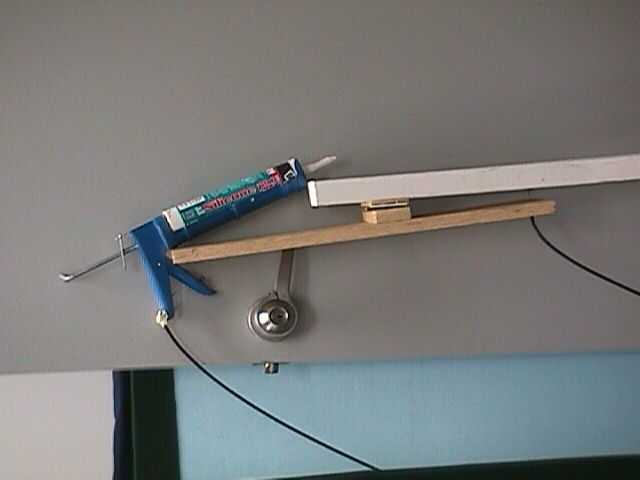 If after building a heavier duty pedal, and using a heavier duty caulk gun the icing can still not be forced though a tube, the caulk/icing gun could be suspended above the work surface using a counter weight system, minimizing the strain on the arms and shoulders. The white 2x4 base rests directly on the floor. It is long enough to place weights on it, or bolt it down. The peddle and a spacer for the hinge are made out of a 1x6. The peddle is between 18" and 24" long. The spacer was screwed to the peddle about 1/3 of the way from the end. A door hinge attached the peddle to the base. A metal fitting holds the ball on the end of the brake cable to the 2x4 base. A hole was dilled thought the 1x6 peddle, and a metal fitting that was slightly larger than the diameter of the ball on the end of the cable was attached to the peddle. A metal washer that fit over the ball but not the metal end of the plastic cover of the cable was installed to prevent the whole cable from passing though the hole. The metal ball on the end of the cable was then attached to the base. 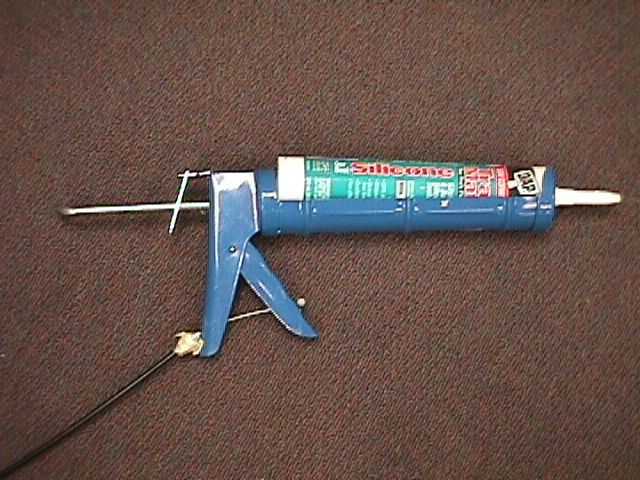 On the caulk gun end, a hole was drilled though both parts of the caulk gun handle. The hole was small enough not to allow the other metal end of the plastic cover of the cable or the metal ball on the end of the cable to pass though. 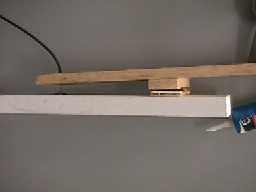 A hacksaw was used to cut a slot in the handle to each hole to allow the cable to be slid into place, and masking tape was used to prevent the cable from slipping back out through the slit. With this prototype, we where able to show that this design idea is valid, and with funding could be developed into a useable product.